There are so many amazing and beautiful details that go into a wedding day. You and your partner will spend countless hours making decisions, picking colors, tasting food, and choosing the perfect venue (and hopefully photographer!) But when the lights are turned off and you’re on your way on a fabulous honeymoon, what happens to the left overs? There are tons of articles on pinterest on how to preserve your wedding bouquet but what if your wedding flowers could continue to share your love with someone who is struggling? 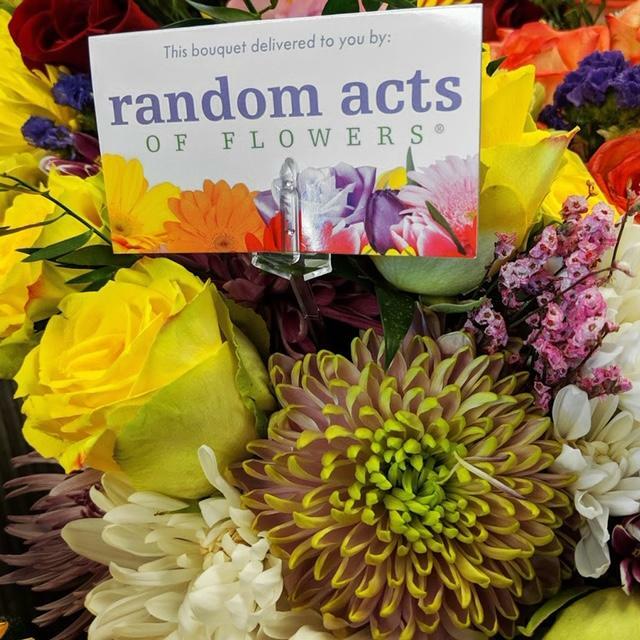 I’d like to introduce you to Random Acts of Flowers. Their mission is to bring moments of kindness in the form of beautiful floral bouquets. Not sure if a bunch of flowers makes a difference? On top of your flowers encouraging someone’s well being, Random Acts of Flowers is dedicated to sustainable solutions. Recycling flowers is the method behind Random Acts of Flowers’ mission. They strive to recycle 100 percent of the arrangements they receive, from ribbons, wire and foam, to vases and flowers. Clippings and other green waste are composted and used by landscapers, gardeners and other partners in the community. Their organization is dedicated to keeping floral materials out of the landfills. *This is not a sponsored post. I am in no way benefiting or receiving compensation for this post—I just think its a super cool idea. Beth Bowman is an intimate wedding, destination, and elopement photographer with a heart for adventure based in Maryville, Tennessee. She thrives on awkward, intimate, and authentic moments. Her mission is to document moments of love and light that they may encourage and inspire others during hard times--that love is the only true adventure. Her style is romantic, creative, and genuine. She believes in getting out in the rain, head back laughs, taking risks, and brave love stories.